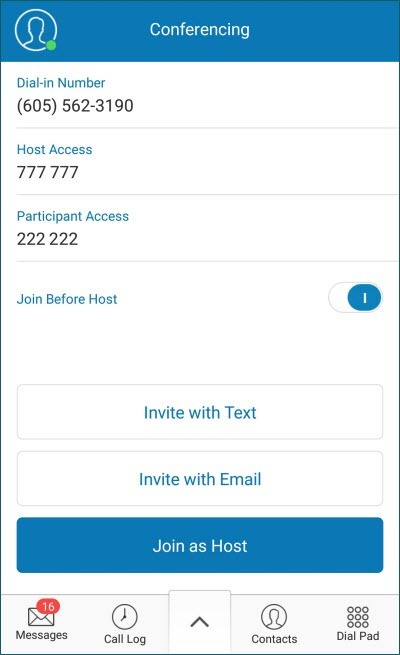 You can invite participants by sending a text message. You can send a conference invite through your email. If you are hosting the conference, you can just join as Host. 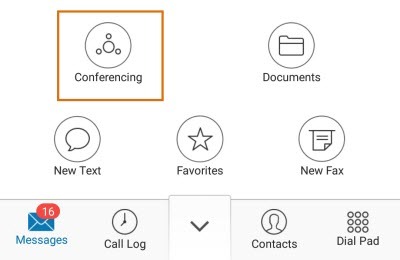 IMPORTANT: When VoIP Calling is turned ON and you tap Join as Host, the Office@Hand mobile app will automatically dial the conference number and have you join the conference without entering the Host Code. 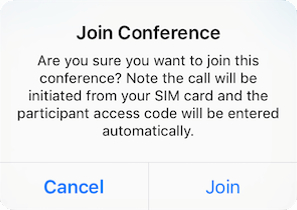 When VoIP Calling is turned OFF and you join the conference via RingOut, you will see a pop-up notification that will ask you if you want the call initiated from your SIM card. When you proceed by tapping Join, the conference code will be entered automatically. Once the conference is done, you can hang up anytime.